Chop kothimbir into small pieces. Take a large bowl and add whole wheat flour,kothimbir, green chilli,red chilli powder, garam masala & salt and mix them with water slowly and add ghee and knead to soft stiff dough. Cover it with a moist cloth. Keep aside for 15 minutes. Divide them into equal portion of lemon sized balls.Flatten them with the rolling pin by dusting with wheat flour . 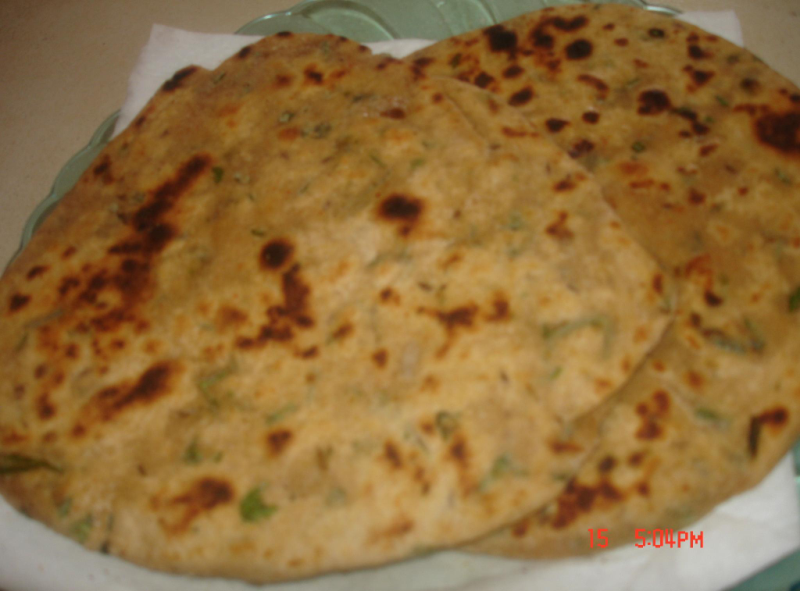 Slight thicker.Not like thin chapatti. Heat the tawa and put the paratha and press them gently on all sides with the wooden chapatti presser. It bubbles up and drizzle ghee on the top of the paratha and not on its sides. cook for 3-4 min and it turns brown. Turnover and cook other side.